The Bluff Trail – Built by volunteers of WRWEO and maintained by trail users like you! Built by volunteers of WRWEO and maintained by trail users like you! Hello, members of WRWEO and friends of The Bluff Wilderness Hiking Trail! On Sunday, May 5th we will be hosting our monthly Volunteer Work Day and Trail Steward Training Session. Would you like to learn how to give back to the trail and to reduce your ecological impact whilst using it? If so, you should consider becoming a designated Bluff Trail Steward. The trail needs your help! We invite you to attend this volunteer work day and training session to become a designated Bluff Trail Steward or to contribute to our trail infrastructure and impact reduction work on the trail. At the core of the Bluff Trail Stewardship Program are the volunteer ‘Bluff Trail Stewards’; those who have been equipped with the skills and knowledge necessary to help advise other trail users in aspects of best-practice trail stewardship and to work on the trail to re-mediate human harms. As you may have heard, WRWEO has teamed up with the St. Margaret’s Bay Stewardship Association to create “The Bluff Trail Stewardship Program”! This year we will work even harder to look after the trail, our goal is reducing the harmful human impacts that are currently affecting the trail at an unsustainable rate. This goal will largely be achieved through user engagement and education by our volunteer Trail Stewards. If you are interested in becoming a Bluff Trail Steward then contact Mike Lancaster, Stewardship Coordinator, by private messaging our Facebook page to book your spot! Or email info@wrweo.ca. Spots are limited so please respond as quickly as you can to ensure you get booked in. A nice surprise arrived a couple of days ago – an announcement by NS Nature Trust that a Frederick Lake property ( the “Frederick Lake Peninsula” in WRWEO jargon) had been added to their Lasting Landscapes campaign; it came with an appeal to contribute by April 5, 2019, as any donations will be matched 4:1 from a federal program. 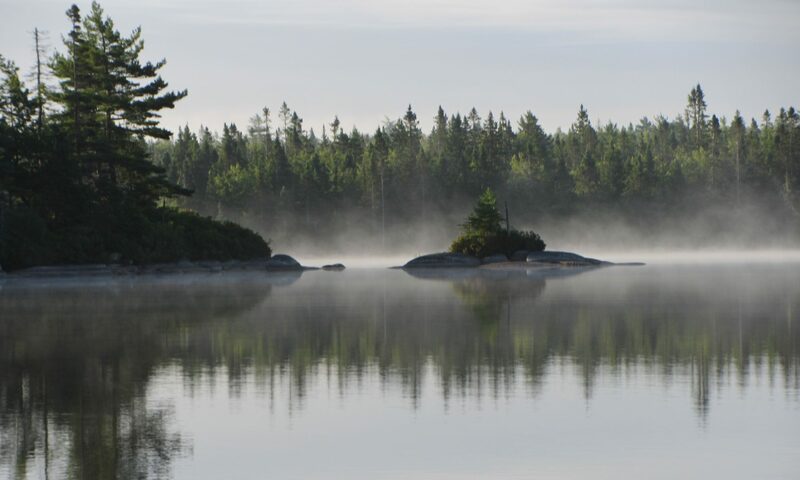 The property boasts a spectacular oak drumlin, a large fen, patches of barrens and a black spruce swamp; bears had been very active feeding on large sweeps of wild raisin when I (David P) visited the area in the fall of 2018. Click here to help save the Frederick Lake property. SAVE THE DATE! WRWEO’s AGM is coming up on April 1, 2019 from 5:30 pm – 8:30 pm. Location will be Keshen Goodman Library. Included in these studies are continued research on the impact of dogs in wilderness areas, micro plastics, erosion control and sediment traps, and of course we have the new kingdom that was discovered in the wilderness area. If any of this research tickles your fancy come out and learn some more. An image of the life form identified on The Bluff Wilderness Hiking Trail. We’ll also be checking up on the efforts of the Bluff Trail Stewardship Program and all the amazing work that’s been done over the past year! New this year we have a photo contest! Send us your favourite pictures, we’ll have them rolling throughout the AGM and at the end the favourite photo by audience applause will win one of our amazing all natural coaster sets! If you’re interested in helping direct the work on the trail, or want to get involved with research on the trail or greater wilderness area please come out to a stewardship day or join our board! Did you know that, armed with nothing more than your cell phone or camera, you can contribute meaningfully to science by uploading photos you’ve taken of living things while out enjoying nature? You can join the tens of thousands in Canada who in 2018 uploaded nearly half a million observations to iNaturalist! That’s a significant contribution to the 15 million global observations submitted for the year. Once uploaded, members of the iNaturalist community help identify whatever you’ve observed. Those observations that can be confidently identified become “research grade”, and then can then be used by scientists to help understand & protect the areas we enjoy so much. WRWEO’s awareness of & use of the iNaturalist platform on the Bluff Trail started with participation in the HaliBlitz 2017 event hosted by the Ecology Action Centre and the Canadian Wildlife Federation. At this event, we had the pleasure of learning from expert hike leaders & helping as volunteers. Judging by the great turnout and enthusiasm of everyone we met, Halifax has an appetite for learning more about life in our area, and is willing to lend a hand to help advance the scientific study of the ecosystems in which we live. Encouraged by this experience, and having board members who have used the platform over the last year, we made it even easier to see which species have been observed on our own trail by defining an iNaturalist place for the Bluff Trail in late 2018. Every observation you make and submit to iNaturalist will now appear on this page. If you’d like to get involved, all you have to do is join iNaturalist and start uploading your observations. Those of us already signed up will be able to see your contributions as they are submitted, will help ID those contributions, and help you acquire the skills you need to improve your observations & your identifying skills. In fact, even photos from past visits can be uploaded, so you don’t even need to wait until your next visit to the trail! Just upload your photos (it can be one or more photos) for each observation, check they have a date, time, approximate coordinates, accuracy expressed in metres, and submit. If you are confident you know what it is, you can include that, or else you can wait for help from the community to determine what it is you observed. So don’t be intimidated. Join up, take lots of photos, upload, and have fun learning while you explore! We look forward to seeing what you’ve found and you will be contributing to the knowledge of the living things in and around The Bluff Wilderness Hiking Trail. Here is a brief getting started guide from the iNaturalist site to help orient you. P.S. We’re sure most of you know this already, but if you are a new observer, do respect the wildlife while you’re observing it. Please don’t pick or otherwise stress out your photographic subjects, and stay on the trail to minimize your impact to their environment. The SMBSA, FBWHT, WRWEO, and Transition Bay St. Margarets are co-hosting what we hope will become a series of climate change evening action workshops. With the working title “eco-rallies” the first of these events will be Wed., Nov 28th at 7:30PM at St Luke’s United in Upper Tantallon. A pay-what-you-can screening of the biomass exposé “Burned”, the film and the discussion afterwards will be hosted by the EAC’s Ray Plourde. Please mark the date in your calendars and PLEASE SPREAD THE WORD!! Attached please find the evening’s poster. Please send it around widely, put it on FB, your website, etc. We seriously want a big crowd. It’s an excellent movie, an important topic, and will be a stimulating evening guaranteed. Hope you can join us Tuesday, November 13th at 7 p.m. to share news and information with your local community organizations at our Council of Community Organizations (CoCO) meeting. Mike Marriott, President of the Safety-Minded ATV Association will act as Chair. This is a wonderful way to make new connections, introduce new volunteers and share project news with others from around the Bay. Everyone is welcome. If you are unable to attend, please feel free to share this invite with another person who can represent your organization. This is an informal round table discussion focused on sharing and learning. 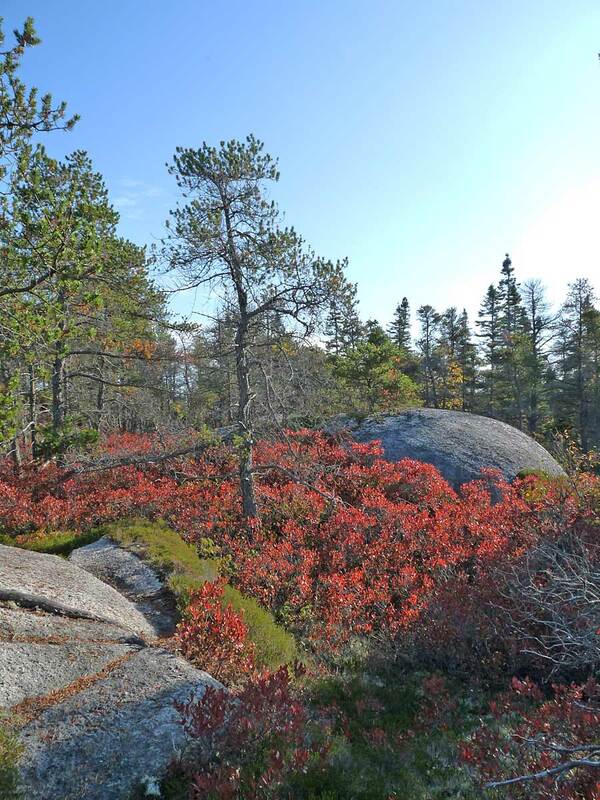 The “Backlands” is a Thomsonesque wilderness located only a few kilometers from peninsular Halifax. It includes nine lakes, spectacular views and dozens of informal hiking and biking trails. David will take us on a virtual tour through the area, describing what we see, discussing what makes it all work and explaining what is needed to sustain it. Please contact info@wrweo.ca to register – there are a limited number of spots. As you may have heard, WRWEO has teamed up with the St. Margaret’s Bay Stewardship Association to create “The Bluff Trail Stewardship Program”! In our second year of the program, we will work even harder to look after the trail our goals of reducing the harmful human impacts that are currently affecting the trail at an unsustainable rate. This goal will largely be achieved through user engagement and education through volunteer Trail Stewards. If you are interested in becoming a Bluff Trail Steward then contact us at info@wrweo.ca to book your spot! Spots are limited so please respond as quickly as you can to ensure you get booked in. WRWEO respectfully acknowledges that we are located in Mi’kma’ki, the unceded and unsurrendered ancestral land of the Mi’kmaq (L’nu). We are all treaty people.